Wanna learn more about these “Miracle-In-A-Jar”? We ❤ our MJs Herbals and it’s about time y’all found out why! These 5 super healing salves do everything from combating ailments to calming your nerves. They’re so handy to have around the house or keep on hand in your bag — having one of these personally hand-crafted salves by MJ is a must! 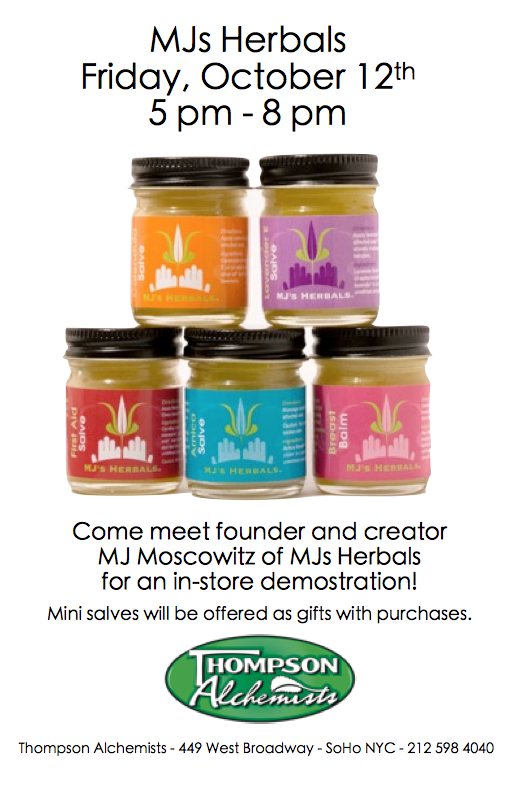 Come by this Friday and you can see what the buzz is all about as you meet MJ in person and learn about her incredible salves! Also, there will be adorable mini-salves given out as gift with purchases! 😉 We hope to see you there!